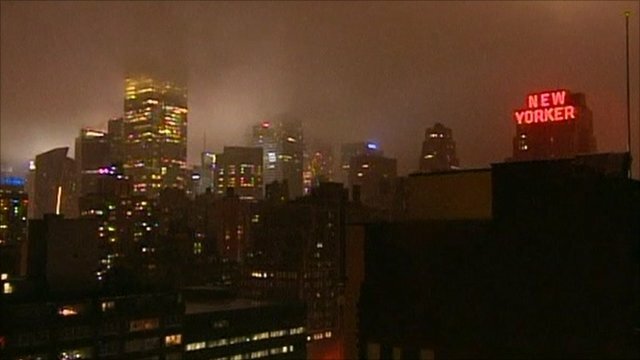 New York City hit by Tropical Storm Irene Jump to media player Strong winds from Hurricane Irene, now downgraded to a tropical storm, have hit New York, bringing torrential rain and the threat of flooding in the financial district. 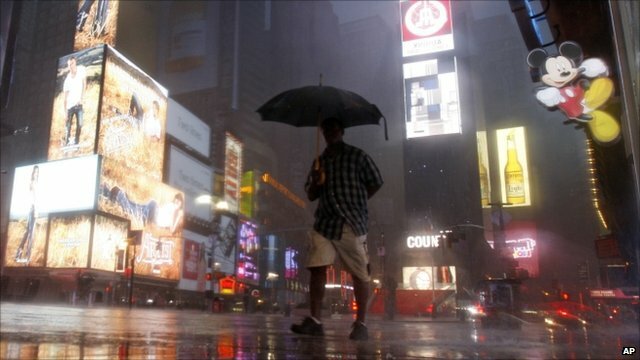 New York escapes full force of Irene Jump to media player Officials in the United States have warned that Hurricane Irene, which has been lashing the country's eastern seaboard since Saturday, still remains a threat - despite being downgraded to a tropical storm. 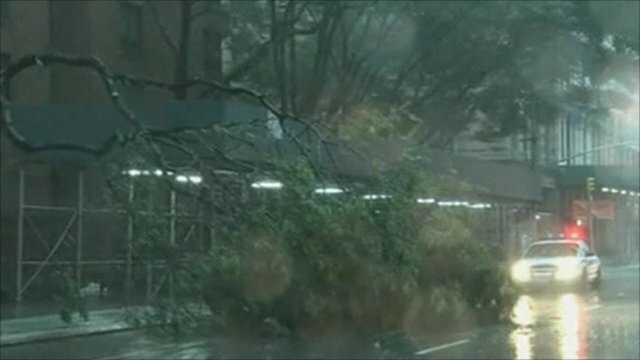 'We're not out of the woods yet' Jump to media player As Tropical Storm Irene swept through new York after being downgraded from a hurricane, the government has warned that the eastern coast is "not out of the woods yet". 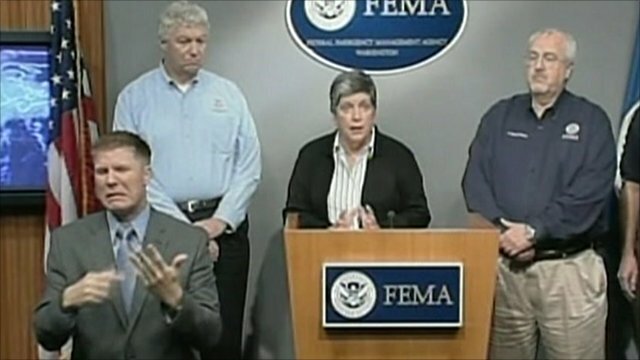 'We're keeping our fingers crossed' Jump to media player Scott Snyder from the American Red Cross has praised the evacuation operation for New York City, saying that authorities were well prepared ahead of Hurricane Irene's arrival. 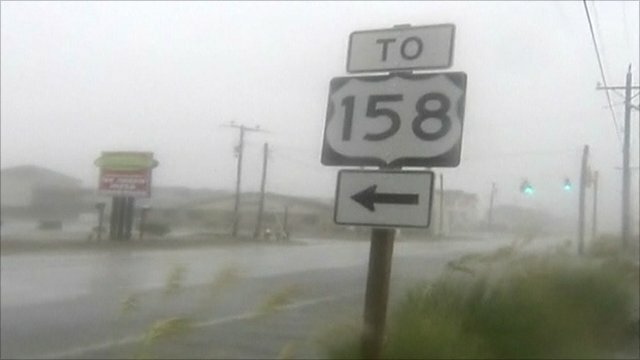 Irene: Residents warned to 'stay inside' Jump to media player Hurricane Irene has made landfall on the US east coast, bringing winds of more than 85 mph (140km/h), as it hit North Carolina. Ron Wall, meteorologist for the state Division of Emergency Management has warned residents to stay inside whilst the storm passes through. 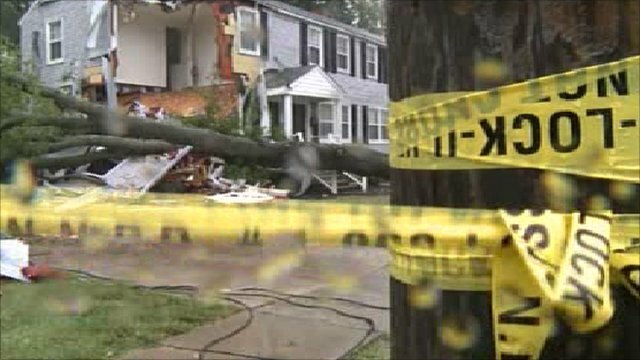 NYC awaits Hurricane Irene's wrath Jump to media player The mayor of New York says the edge of Hurricane Irene has reached the city and it is no longer safe to be outside. Strong winds from Hurricane Irene, now downgraded to a tropical storm, have hit New York, bringing torrential rain and the threat of flooding in the financial district.